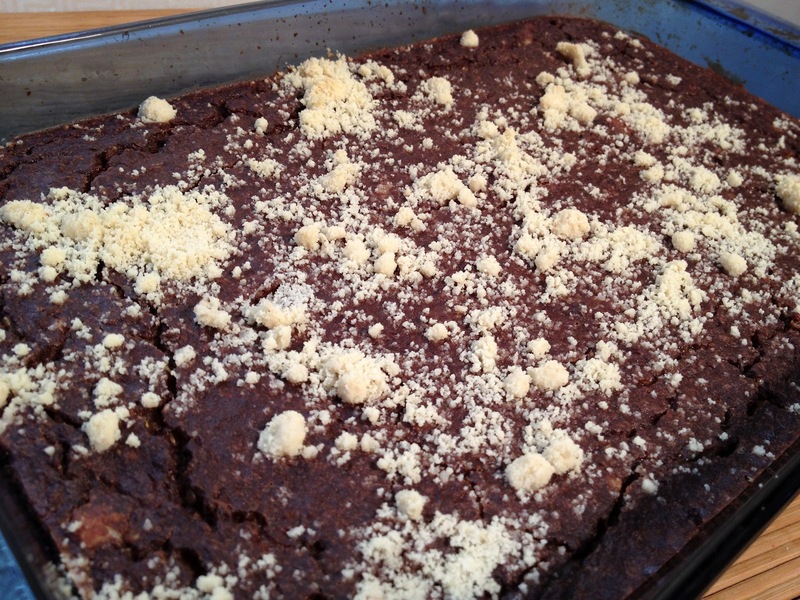 I set out to make some type of quinoa breakfast bread… and ended up with brownies! I’m ok with that! Actually, this was really good!- a little moist but I think I know what I did wrong! My quinoa wasn’t perfect. How many times have I burned quinoa, spoke of other’s burning it or had it come out too soggy as in my crockpot recipes with it. HOW DO YOU MAKE PERFECT FLUFFY QUINOA! I will get it right one day. Don’t get me wrong, I make it a lot and I love it- it’s probably my favorite grain! I just prefer it fluffier! How do they do it? I think there is a fine line.. a tight narrow threshold between soggy and burnt! I think I will google it for secrets. Let’s see what I find! Here are three helpful tips I have learned! (3) After the water boils, they reduce the heat to very low. These words are not really in my vocabulary- low, slow.. it’s just not me. Patience is a virtue that I will spend a lifetime waiting to remotely achieve. It reminds me of my visit to Lina, my dental hygienist to be. She thoroughly explained that I have been brushing my teeth wrong for years. Just great! I brush too hard and too fast– “you have to brush your teeth in tiny circular movements not just in the front and across the molars but everywhere” she says- “front, back, inside, outside, in between- and slow it down!” AND FLOSS while we are on the topic! When I first became healthy my teeth actually hurt a tiny bit. I think it was the first time I ever really used them. I always swallowed my food. This is not a joke really. When I first studied holistic health, I realized right away the importance of chewing, eating slowly and allowing time for digestion. Some say to chew the food 35 times- try it! When we chew our food, we give our bodies a chance to pre-digest or get ready for digestion with the excretion of salivary amylase, a salivary gland enzyme found in saliva. Also, it’s important not to drink fluids while eating because it water’s down the important enzymes and stomach acids necessary for proper digestion. Anyway… when I became vegetarian and then vegan, I used my teeth more and also had to floss more! Use them or lose them … right? lol I believe our teeth fit right into the design of an herbivore.. that’s what I believe we are.. and at best I’ll agree with omnivore- but if you would like to argue with me over a few drinks.. go ahead and say carnivore! Side-tracked again lol! Back to my brownies! Thanks Clarissa for leaving this on my fb page! I rinsed the quinoa and doubled the portion with water but next time I will use 1 1/2 cups of water and cook it like mentioned above! Preheat oven to 350 degrees. Blend (in a blender) the nut milk, dates, seeds, applesauce, cocoa and salt. Transfer to a large bowl and stir in the cooked quinoa and almond meal. Set into a baking dish and bake for one hour! They mention using parchment paper- hello.. what is that? I have so much to learn- I though you weren’t suppose to put paper in an oven! This blog is truly a mission- hopefully, I will end the year as an educated cook of some sort! For a more accurate instruction of the “how-to” follow the online recipe as mentioned above!